So, your kid has put in the time and dedication to learn the game and etiquette of golf. What started out as perhaps just an after school activity blossomed into a passionate discovery of pure love for the sport. Your child practices hard, is keen on watching the professionals and is ready to compete like they do. He/she is ready to enter their first junior golf tournament. 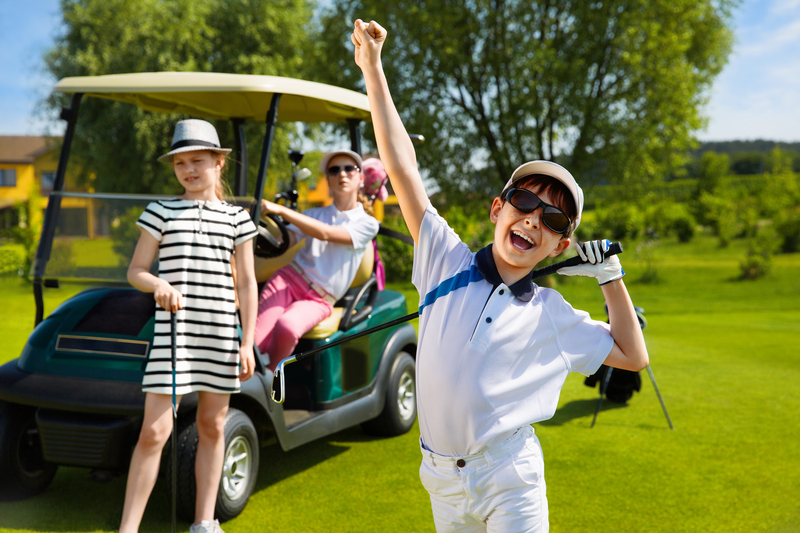 As a parent, do you know what to expect if your newbie golfer hasn’t been involved in a tournament before? We’ll put surprises to rest and offer up some prime tips to get you in the know with what tournaments are all about and what you can expect. Don’t just sign up for the next tournament you read about. Research a few different competitions to determine which one will be a good match for your child’s skill level. Also, check the age group. Some tournaments will only allow players over the age of 7 to register, while there are other special tournaments for children under 7 years. As well, some tournaments will mix ages, such as having 7 to 10-year-olds compete against each other while other tournaments will organize games by age group. Considering the skill level is important for boosting confidence and giving your child an even playing ground to hone skills in competition. The night before a big tournament is always a crucial time to prepare mentally and physically. Have junior switch off the TV or video games, eat a healthy dinner, drink lots of water and go to sleep early. Before bed, have him/her take some quiet time to visualize a successful tournament experience from start to finish. This fosters confidence and a positive mindset before the competition ensues. It can also be helpful to go over the golf course together to have a solid understanding of what it looks like and how to play it well. Remember that your child looks up to you for guidance. Act calm and rationale, and project confidence and positivity. This will help bolster your child’s confidence before setting off to conquer their first golf tournament. Remember, in the end it’s all about having fun and enjoying the game.